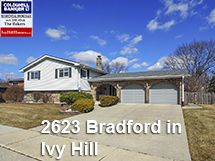 Want to see market condition on ivy hill homes in Arlington Hts? 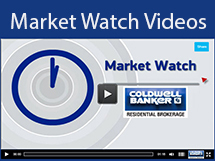 Just click on Market Watch Videos below. WOW! The Bakers blew me away with their expertise. Unlike politicians, all of the promises they made to get my house sold came true! They gave my husband and I great advice about what things we needed to do to get the house ready and we quickly complied by getting those things done. Then they came and Garrett shot pictures of our home and they turned out amazing! So many friends commented about how gorgeous the pictures turned out for our flyer. The sad but happy truth is that we barely handed out any flyers because the house sold in 8 days for nearly full asking! We were thrilled and cannot say enough great things about the Bakers and how they orchestrated all of the components to make things sail smoothly. They responded quickly and took care of everything. Selling a home with the Bakers was easily the best decision we made throughout the entire moving process. IT'S A NO BRAINER - HIRE THE BAKERS! "We interviewed 3 local realtors when we were ready to sell our house. All 3 gave very similar estimated values of our house. Bill and Linda Baker 's presentation of their services they give to all of their listings stood out to us by far. They were clearly the best choice for us to sell our house for the highest price possible, in the least amount of time, in a professional manner, their experience and knowledge was exactly what we were looking for. They created very professional photos and brochure which created many showings for us and a sale within 22 days of being on the market, and a successful closing. They exceeded our expectations from the start to finish of the process. We would highly recommend them." Some realtors talk a good game----others deliver. 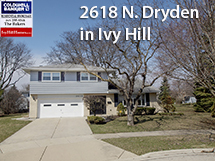 After wasting 12 months with someone else, we decided to interview four agents who had familiarity with our Ivy Hill community in Arlington Heights. We selected Linda and Bill Baker of Coldwell Banker. From Linda’s first advice on things (most inexpensive) to raise value and generate offers I knew we had made a good decision. 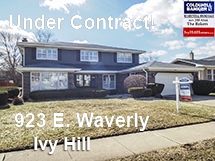 They knew the neighborhood and real estate pricing and we were delighted that we received a good offer the first day it was put on the market. Bill was invaluable and always available as we moved through negotiations and the inspection process to close, even getting his son to help as we rushed to clean up for the buyer’s final walk through. And, when it came to helping us locate our new place, they supported our efforts with lots of research, always making themselves available, on our schedule, when we wanted to see a property no matter how near or far. We are sharing this because we all know how hectic and time consuming selling and moving can be and want you to know Bill and Linda can help make it lot easier. The Bakers have over 160 Ivy Hill Sales! 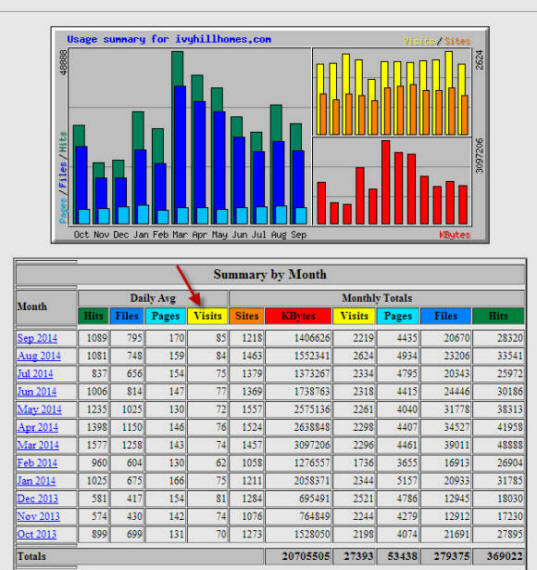 Our marketing tops Zillow and Trulia with 85 visits to IvyHillHomes a day!